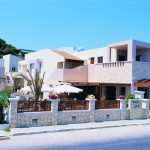 The popular seaside resort of Agia Marina, especially known for its beautiful sandy beach with shallow waters, is a nice touristy settlement with little shops and good restaurants. 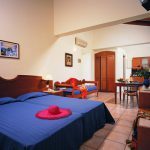 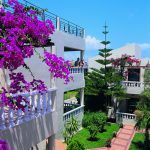 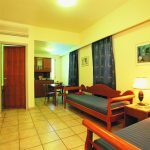 The Elotis Suites are situated at the main street of Agia Marina at only 50 meters from the beach (just across the road). 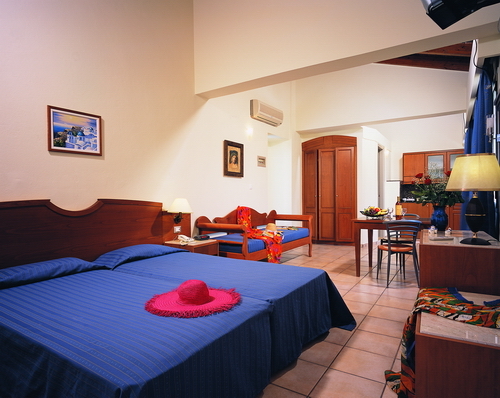 The layout of the hotel gives the complex a comfortable and attractive atmosphere. 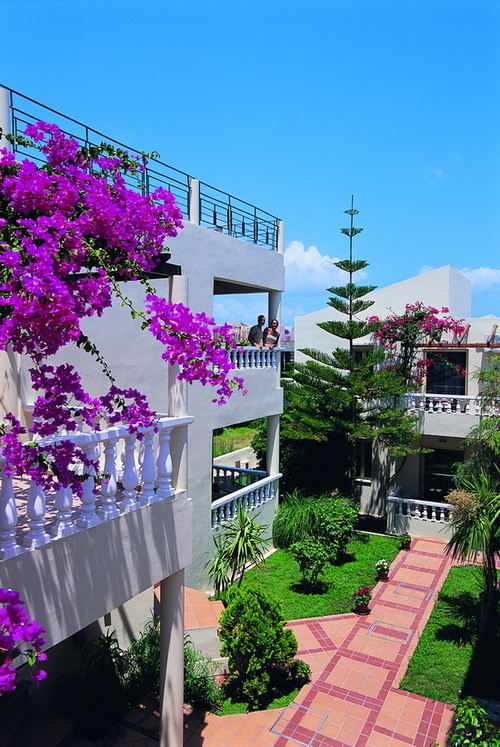 The different buildings embrace the swimming pool area whilst flowers and green gardens surround the buildings. 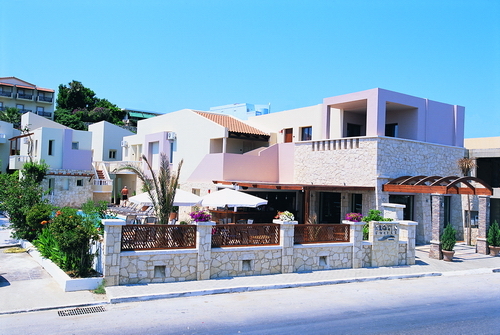 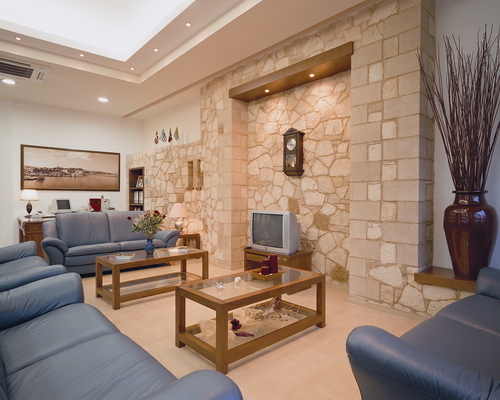 This most pleasant holiday address in modern style is suitable for both adults and children. 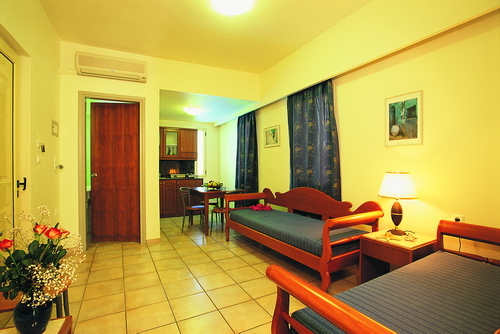 Elotis Suites consists of five 2-floor buildings featuring 20 comfortable units in total.